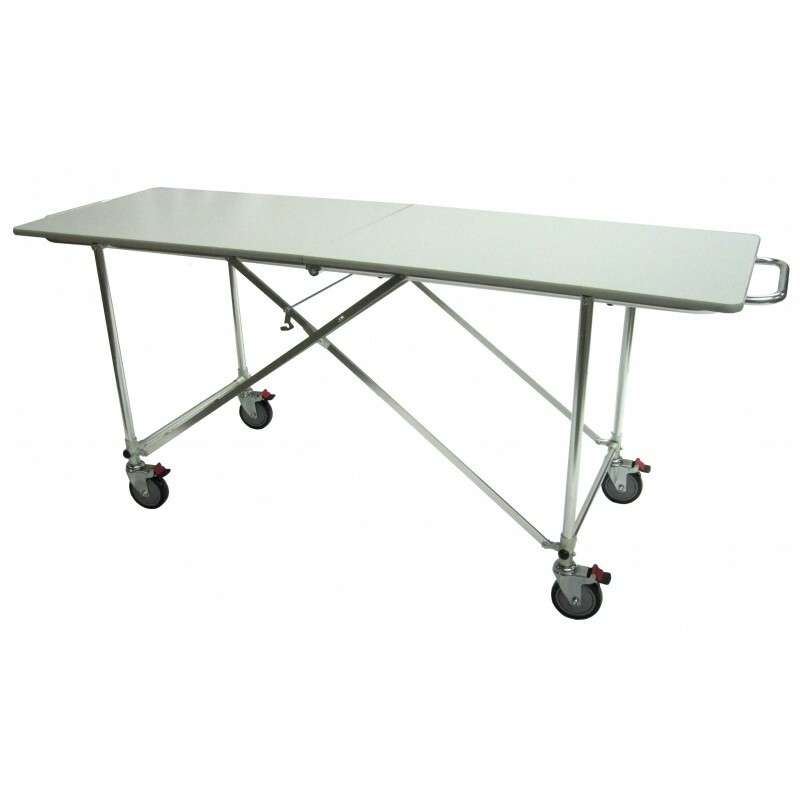 The folding dressing table is ideal for prep room use when you need a durable, sanitary surface that can be easily folded away and opened to use when needed. It is designed to open and fold easily, and with it's four swivel castors with brakes, is easy to maneuver and secure in limited space. 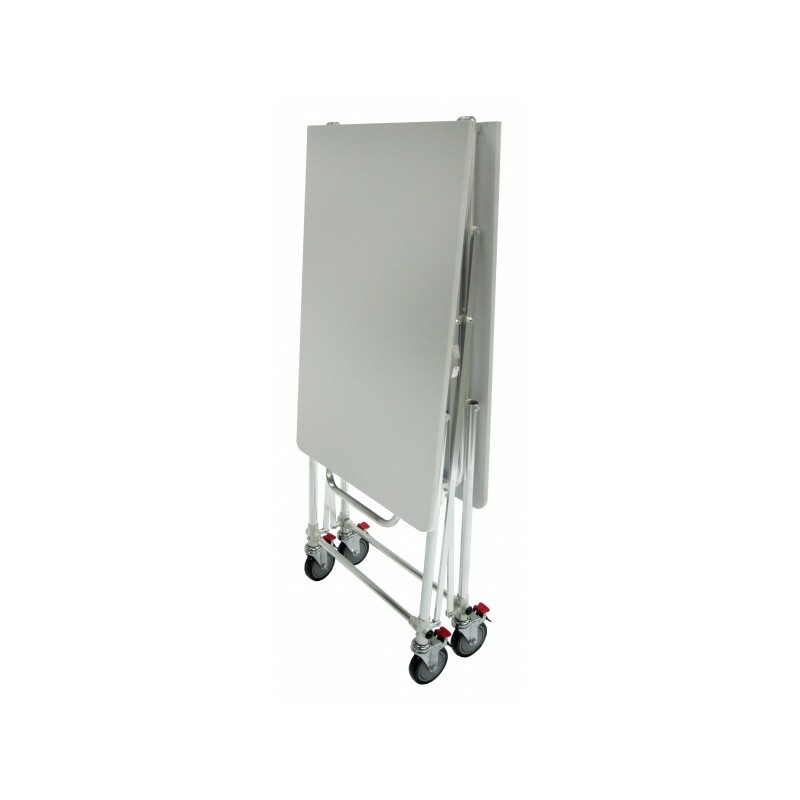 Wheel Base: 23 x 10"